Despite the high performance engineered into OHAUS lab equipment, operating design continues to be sleek, practical, and intuitive. Modern software is carefully designed to make it easy for operators to understand the functions and to quickly work through their experiments. OHAUS user interfaces are simple and direct – operators can easily find their way through any menu and can quickly operate the device, regardless of how complex the technology is. Food weighing requires high accuracy, high efficiency, high durability, and the functionality to keep up with the high demands of fast paced work. 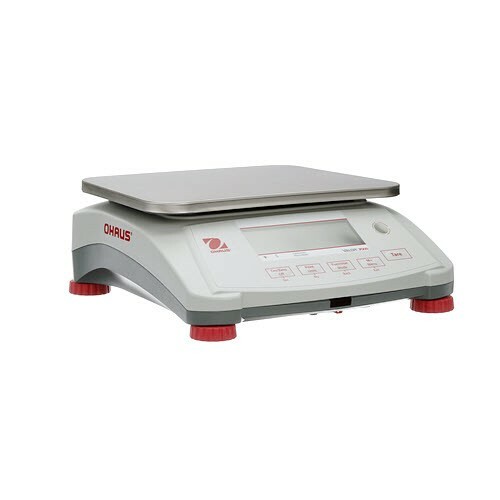 The OHAUS Valor 7000 Compact Food Scales are designed to keep up with the high pace demands of food weighing and to help users perform their best work as fast as possible. The dual design – front and rear screens with touchless sensors and check weighing LED’s on both sides – makes it easy for multiple operators to work on the same food scale. The software also includes the capability to perform weighing, percentage weighing, check weighing, or accumulation quickly and easily. OHAUS designed their Valor 7000 Compact Food Scales to meet industry certifications and then more. All units are designated food-safe under NSF, USDA-AMS, and they support HACCP-Certified systems. They are protected by a withstanding ABS housing designed for repetitive, everyday use in high pace work conditions. The scale platform is made of stainless-steel and is removable for easy cleaning. 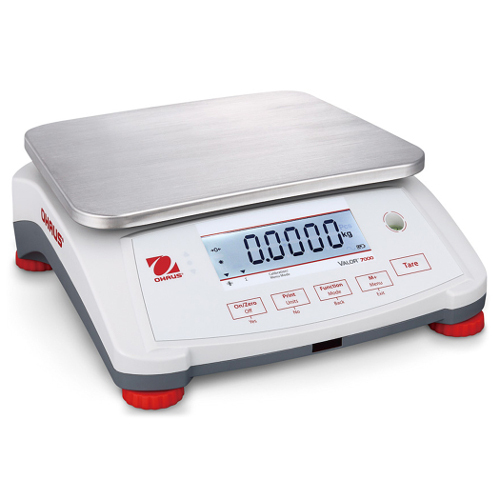 Scales are portable via a 210-hour battery life and ergonomic carrying handle. Automation is available for automatic shut off, automatic taring, and automatic printing. An RS232 port on the device can be used for printer or computer connectivity.